Product #21390 | SKU SS1002 | 0.0 (no ratings yet) Thanks for your rating! 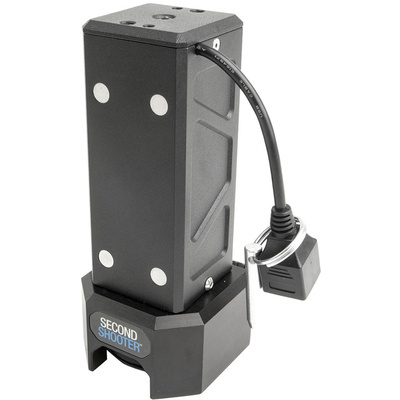 The Kessler Crane Second Shooter Slider Motor is a pulley system motor for the Kessler Crane CineSlider, Philip Bloom Slider, and Stealth Slider. It features a quick-change pulley system on the bottom that eliminates the need for additional motors. You can choose between Fast, Normal, and Slow motor speeds by arranging the proper combination of motor pulleys. A small size extra pulley is included. A Second Shooter Controller is required to operate the Slider Motor. A compatible Kessler Crane Motor Mount is required to attach the Slider Motor to a slider. The Controller and Motor Mounts are sold separately.